If you’re an avid reader of our blog, you probably saw last week’s introductory article on GDPR. Like many companies in the MarTech space, we’ve decided to address the topic head-on, underpinning core concepts and stressing the implications of non-compliance. While we can’t offer any legal advice, our goal is to approach the subject of GDPR with an open mind. To show B2B marketers, like ourselves, that there is light at the end of the tunnel. That GDPR shouldn’t strike fear, rather it should be seen as a real opportunity for greater B2B marketing success. Nowadays, leads are like fish in the ocean. You can easily catch hundreds of them with pre-ticked opt-in boxes and an all-or-nothing approach when asking users to agree to terms-and-conditions. This model opens the floodgates to thousands of irrelevant marketing messages that saturate your audience’s mailbox. Under this model, there is one simple condition that benefits the consumer. That is, you can capture a lead AS LONG as you agree to remove it upon request (opt-out). In other words, when someone wishes to “unsubscribe”, their wish is automatically granted … well, maybe not right away! After GDPR is enforced, the traditional “opt-out” model will be replaced with the new “opt-in” model. More to the point, opting-in your audience by default, or preconditioning them to sign up for a service they don’t need, will be invalid. User consent will have to be specific and unambiguous. From a marketing standpoint, this means that all of your web forms must be clear as day. They will need to explicitly outline, in plain language, what content or materials you’ll be sending, which personal data you’ll be collecting, and for what purpose. In essence, this new model puts the power back in the hands of consumers, giving them the right to choose what to receive and what to block out. In light of the new changes, you’re going to face two major challenges once GDPR is enforced on May 25. First, any European email contact that did not give consent as defined by the GDPR, will have to be erased from your database. This means that a huge portion of your existing database will be diminished. Second, attracting new prospects will require far more creative strategies that don’t necessarily take the form of an email, consequently leading to a slow growth of the new database. So there you have it, GDPR is going to drastically change the ways you approach your B2B marketing. 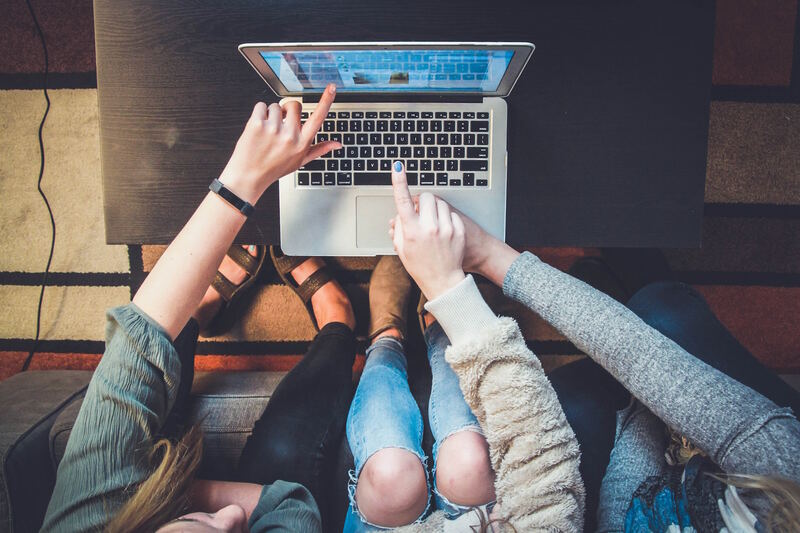 With email no longer being a dependable source for generating and nurturing leads, you’ll have to turn to alternative channels, like social media, to bridge the gap. However challenging this may sound, here are 3 reasons why social media is the ultimate healer for your GDPR woes. On social media, audiences proactively initiate a relationship with your company by ‘liking’ or ‘following’ your page. Through the lens of the GDPR, these people have explicitly given you a clear and unambiguous consent to receive future marketing messages. With a single unfollow or unlike button, audiences are equally in control of breaking this relationship; of opting-out from your marketing communication. Therefore, the challenge of getting consent is completely eliminated on social media. In fact, social media channels help to sustain mutually beneficial relationships; where on one hand, your audience is free to choose whom to receive content from and are therefore more receptive to marketing messages. On the other hand, your brand can drive engagement by serving content that audiences are genuinely hungry for. GDPR creates a shift towards personalized communication. This shift is reflected on social media channels through the ability to target audiences with direct messages. For instance, you can use Facebook or LinkedIn to identify individuals by their interests, job titles, seniority level, and other factors to deliver highly tailored content directly through Messenger or InMail. These 1:1 interactions help to establish trust and build stronger relationships between companies and their prospects or customers. Social media isn’t just about establishing a corporate social presence. In recent years, there’s been a dramatic rise in employee advocacy – where employees promote the company’s message by sharing content across their personal social profiles. So although GDPR creates a vacuum in your lead database, employee advocacy can fill the void by allowing you to reach more relevant audiences. More importantly, putting employees at the forefront of your social media marketing is an opportunity to attract more qualified leads. That’s because leads garnered through employees convert 7x more frequently than any other lead. Why is this the perfect time to heighten your social media marketing? With GDPR around the corner, email can no longer be trusted as your sole source for distributing content, making it much harder for you to grow your lead database. Luckily, social media offers many ways to make up for silencing your email marketing. From conveniently getting audience consent to strengthening relationships with your brand and employees, social media can safely overcome the obstacles presented by the GDPR.